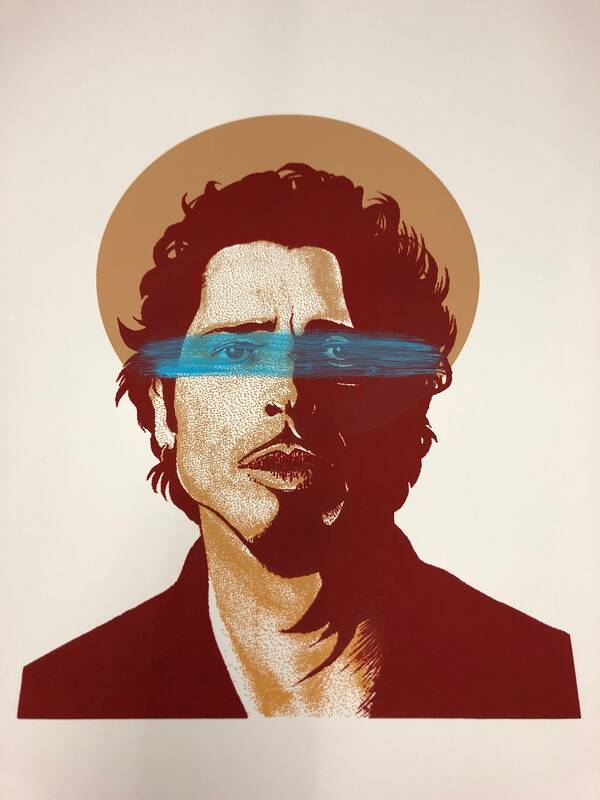 This is a three-color, hand embellished art print of Chris Cornell from Soundgarden and Audioslave. Originally created as an 8x11 digital print, this is hand screen printed by ME. This is my first self printed poster and is in a small limited edition of 25.